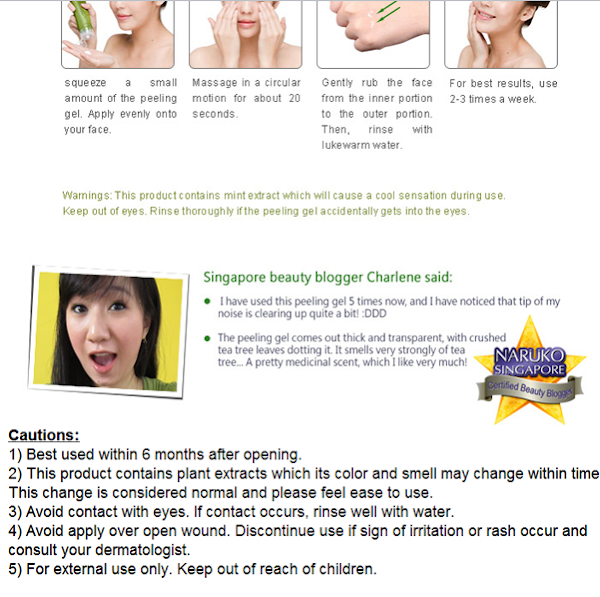 UPDATES: Certified Beauty Blogger for Naruko Singapore! Hiya (: Last night, there was a new addition to my blog's sidebar and it's the above star! 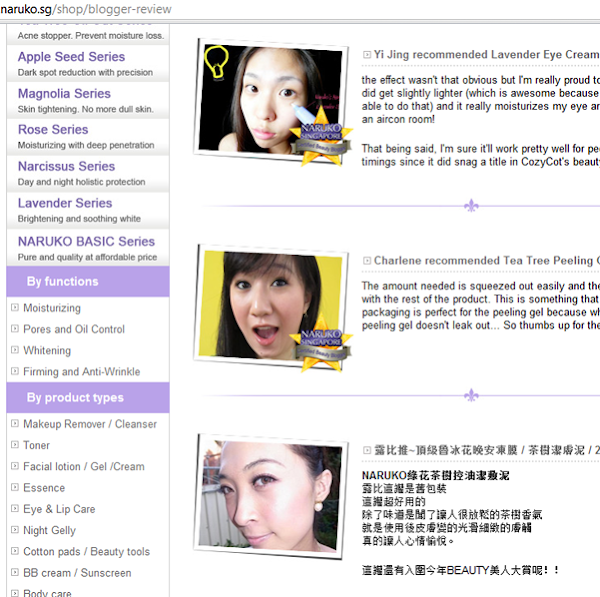 I'm now a Certified Beauty Blogger for Naruko Singapore! And here's me again on the page of the Tea Tree Oil Out Peeling Gel. Click here to read all my Naruko entries!